For the Warsaw International Mechanism, the real yardstick of success will be whether this policy space delivers new ways of framing the issues, and news kinds of solutions to help affected countries and people deal with negative effects of climate change that exceed their capacities to manage. The Warsaw International Mechanism was established at the UNFCCC climate negotiations in November 2013 (the 19th Conference of the Parties) to promote “implementation of approaches to address loss and damage associated with the adverse effects of climate change…in a comprehensive, integrated and coherent manner”. further elaboration of loss and damage in Durban (8/CP.17) and Doha (3/CP.18). The outcome is a notable step forward because it creates a legitimate policy space to discuss and address the negative consequences of climate change if society´s efforts to mitigate and adapt are not sufficient. What values are at risk—like food and livelihood security, culture, habitable territory—and what changes could society undergo when those values are threatened? What can be done to help vulnerable people who are already feeling the negative consequences of climate change? What is the relationship between loss and damage, and adaptation under the Convention? The purpose of the Warsaw International Mechanism is to implement appropriate approaches to address loss and damage—particularly where loss and damage pushes society to reexamine current ways of thinking and managing climate risks. 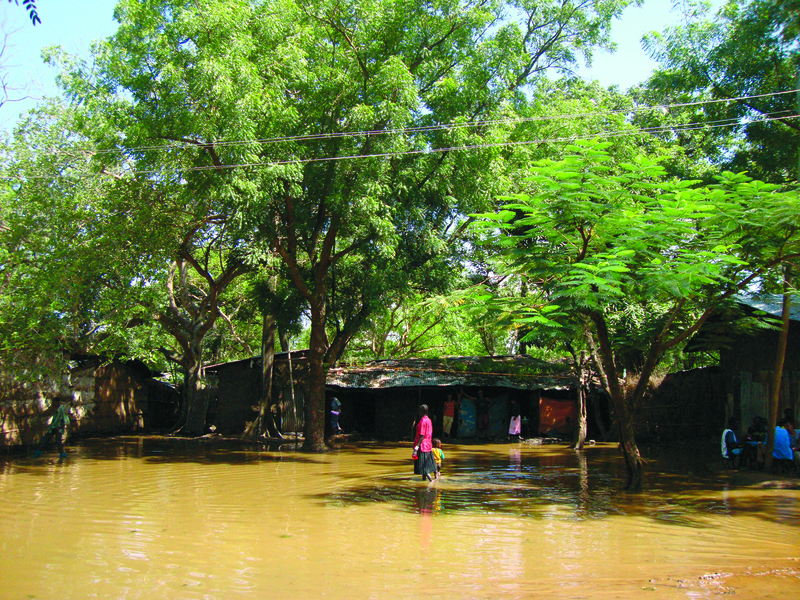 Many developing countries in Warsaw strove to establish loss and damage as an independent issue under the Convention, noting that loss and damage occurs when mitigation and adaptation are not sufficient to avoid negative impacts of climate change on food security and sustainable development. The Warsaw Mechanism arguably marks a step towards transformation. What will the Warsaw International Mechanism do to address loss and damage? For the Warsaw International Mechanism, the real yardstick of success will be whether this policy space delivers new ways of framing the issues, and news kinds solutions to help affected countries and people deal with negative effects of climate change that exceed their capacities. find ways to prevent disruptive climate shocks from driving vulnerable areas even further from their development goals. Some of the first steps for the Executive Committee of the Warsaw International Mechanism will be to determine what the appropriate responses are: whether they involve reducing barriers that make it hard to plan and implement adaptation, or implementing approaches to manage when limits to adaptation are crossed. The Executive Committee will embark on this work by defining a two year work plan, including consideration of a number of themes that were outlined in the Doha decision (3.CP/18), paras 6 and 7. The work will emphasize identifying appropriate responses to negative climate change impacts that countries are finding it hard to adjust to sufficiently. This will involve understanding climate risks that contribute to patterns of loss and damage, and then finding the appropriate mix of tools to address loss and damage1. Driving towards COP21, the research and practice community can contribute on-the-ground observations and projections of social consequences of climate change. This will inform policy makers about the consequences of their choices around mitigation, and effective and scaled-up support for adaptation. This view of loss and damage must be embedded in the Paris outcome in 2015. Between now and COP22, research and practice will help shape emerging conceptualization of loss and damage, and how approaches to address it are framed and implemented under the Warsaw International Mechanism. The Warsaw International Mechanism creates the space and opportunity in the coming three years to create an evidence base that will help us being to determine: what can be done to help vulnerable communities when they face barriers and limits to adaptation? How can that understanding be channeled back into effective policy and practice at the appropriate level? And how can that understanding also contribute to the wider policy adjustments that are part of the 2015 milestone year to align policy priorities with 21st century realities. Dow, K.; Berkhout, F.; Preston, B.L. ; Klein, R.J.T. ; Midgley, G.; Shaw, M.R. Commentary: Limits to adaptation. Nature Climate Change. Vol. 3 April 2013. pp 305 – 307. Kates, R.W., Travis, W.R. and Wilbanks, T.J. (2012). Transformational adaptation when incremental adaptations to climate change are insufficient. PNAS May 8, 2012. Vol. 109. No. 19. 7156-7161. Warner, K., van der Geest, K. Kreft, S. (2013): Pushed to the limit: Evidence of climate change-related loss and damage when people face constraints and limits to adaptation. Report No. 11. Bonn: United Nations University Institute for Environment and Human Security.